Guests look out onto sheep in the paddock to the rear and there is a stable yard with horses on the other side. The property commands its own privacy and individuality with tasteful, high specification furnishings. The village is a no through road and the cottage is situated almost at the far end so is extremely peaceful. The nearest pub is The Bruce Arms (17 minutes’ walk, 0.9 miles) and the nearby village of Pewsey has a further selection of pubs and restaurants. Whatever time of year you book, there is always plenty of wildlife to see and lovely countryside to explore from your doorstep. Make the most of some of the best walking and off road cycling in the country, or try a day’s trout fishing, a canal boat trip or a round of golf. Enjoy stunning views of the landscape from horseback. Wiltshire can also be seen from the water – the Kennet and Avon Canal stretches through the area and passes through some of the choicest sections of this Area of Outstanding Natural Beauty. A relaxing base from which to explore the many attractions of this lovely part of the country with its unforgettable landscapes, famous and intriguing prehistoric sites, historic buildings, stately homes and gardens. Large open plan sitting room with a dining area at one end. Well equipped kitchen with breakfasting table. Small cloakroom near the front door, ideal for dog baskets etc. with a clothes airing rail. Double bedroom with 5′ bed and an adjoining bathroom with a shower over the bath. Twin bedroom with 3′ beds and a small en suite shower room. Welcome to Stable Cottage, our tranquil slice of Wiltshire heaven with plenty of room for four plus pooch! 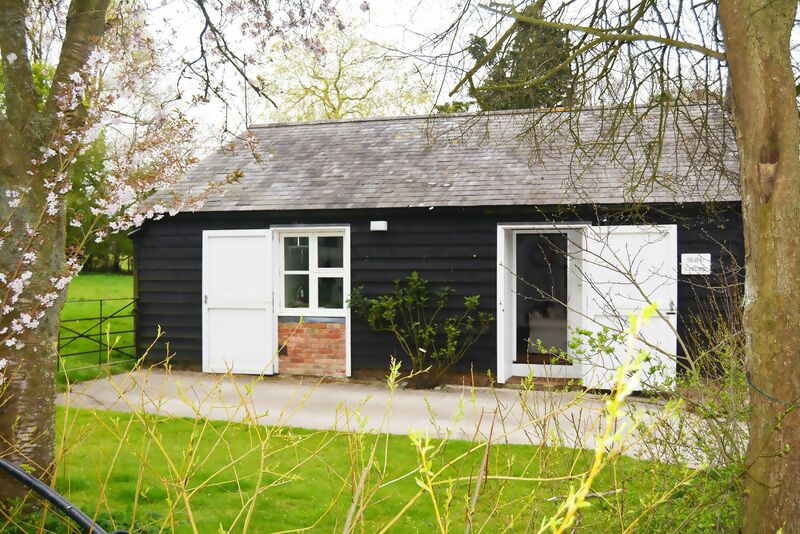 Stable Cottage is a stylish conversion of an old farm building offering luxury ground floor accommodation. The detached cottage has a sun flooded open lounge and diner; there's a four-seater dining table and two comfy sofas, flat screen TV with DVD player. The separate kitchen is equipped with all the mod cons. There are two pretty bedrooms, one twin, one double, providing easily accessible accommodation. The double bedroom has an adjoining bathroom and the twin room has an en-suite shower. Beautiful furnishings and thoughtful little extras make Stable Cottage a real home from home. With flowers, White Company smellies, Suzie Watson throws and a well stocked welcome hamper, you'll want to return in a heartbeat. 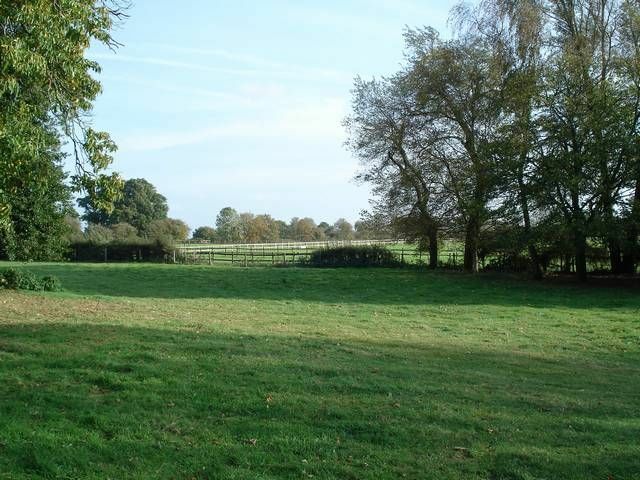 Outside, a small grassed area for sitting overlooks tree-lined fields. To the rear sheep are grazing in the paddock and on the other side there is a stable yard with horses (yes, there's a livery yard just opposite if you need somewhere to check your horses into!). Our hidden gem is situated on the very edge of one of the finest villages in the Pewsey Vale, Milton Lilbourne on the edge of Salisbury Plain. The pretty village is a no through road and Stable Cottage is situated almost at the far end. Making for a wonderful, peaceful and relaxing stay ...only the occasional tractor or sound of horse’s hooves disturbs the silence. People have lived in the area for thousands of years and there are many ancient hill forts, medieval churches and lovely little villages with thatched cottages all set in the most beautiful countryside with stunning views everywhere. The Kennet & Avon canal is about a mile away and the famous stone circles of Stonehenge and Avebury are also within easy reach. There are many pubs offering food in surrounding villages and the nearby village of Pewsey, a 5 minute drive, has a Co-op. Marlborough is 15 minutes’ drive away and is much larger with a fine wide High Street, busy shops and a Tesco supermarket. With wonderful walks and off road cycling from the front door and plenty of places of interest nearby, what more could you want for a relaxing break? 2018-12-12 David Kennedy, Belgium "Stable Cottage is comfortable place to stay. Savernake forest and The Downs can be reached by foot or easily by car. There are good pubs in the area that can be reached by car. Sadly there is no pub/restaurant in the village itself. Booking via Staycation has been done by e-mail on the two occasions that we have stayed. This has proved to be a flexible and friendly method of making a reservation." 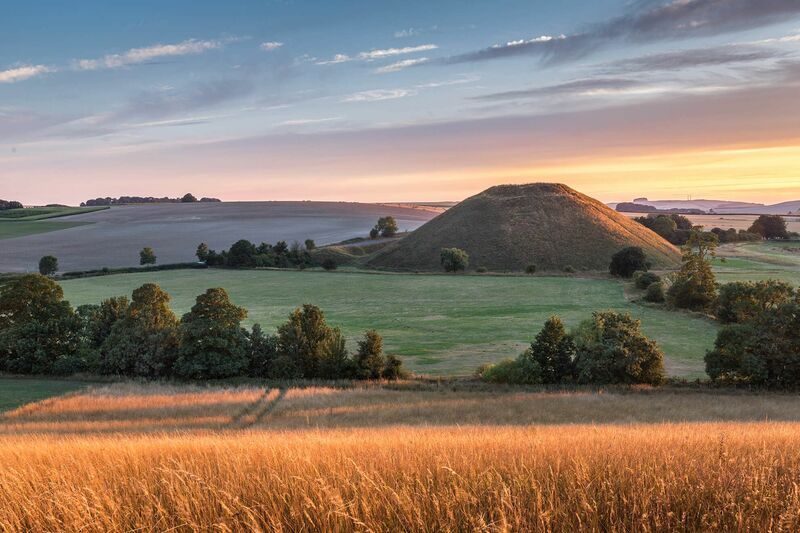 Centrally located for country walks (just 1 mile to Easton Royal) and visiting sights such as Stonehenge, Avebury, Marlborough, visiting the Marshall Bakery in Pewsey, and numerous nice pubs around. The cottage has only 1 step up and if needed Peter will provide a ramp, as he did for our daughter who requires a wheelchair. The layout is open and very comfortable, lots of windows! I could retire in this spacious cottage. Located at the end of a non-through track across from a horse stable. The greeting committee of sheep welcome you as you drive up. If you love the quiet of the country, it is the best! Country kitchen with all you need; Peter provided a lovely welcome basket with wine, eggs, butter, apples, grapes, bananas, biscuits, cereal, bread and milk. We found coffee and tea in the cabinet. The tea: English Breakfast and a Twinings Lapsang Souchong, I'd never tried, that was wonderful. Two toilet rooms, 1 with shower and the main with shower within the tub. English showers are small compared to the American equivalents, but the instant hot water had good power and maintained a constant temperature. The main bathroom was plenty large enough for the wheelchair to maneuver. The couches were comfortable and the layout quite functional. We enjoyed the artwork on the walls, especially the picture over the television in the living room area and the picture in the main bathroom. There were also maps of the area on the wall to guide one to the bridle and walking trails and other local color. Truly delightful!!!! 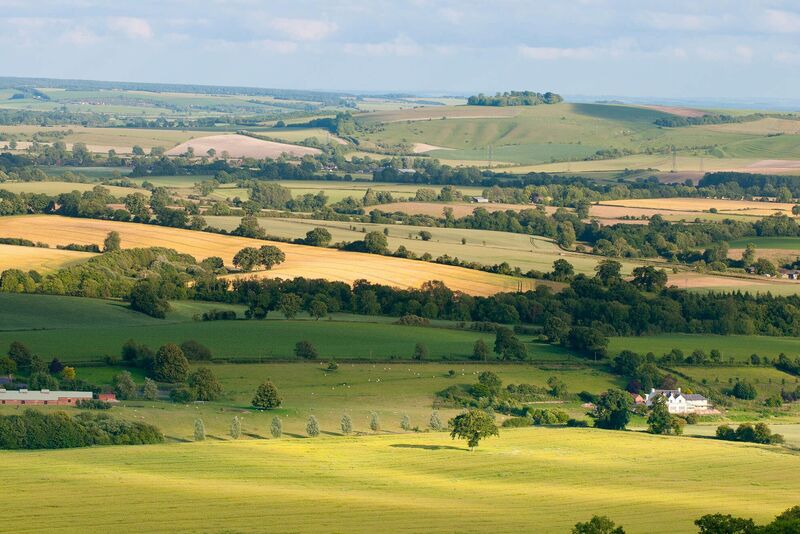 Pewsey is a 5 minute drive away (2 miles). It has a Co-op supermarket, Pewsey Heritage Centre Museum, a library, as well as lovely bijoux shops, five great pubs and many places to eat and drink. The Kennet & Avon Canal offers narrow boat trips. Pewsey also has a main line rail link to London. The Royal Oak in Wootton Rivers (2 miles, 7 minutes’ drive) has just been renovated. Dogs are very welcome and the food is good. If you have your pet in tow, try out one of the other numerous dog friendly pubs nearby where you and your pooch will receive a warm welcome! For Gastro lovers there is The Seven Stars Inn at Bottlesford (7 miles), The Red Lion in East Chisenbury (8 miles) and The Harrow at Little Bedwyn (10 miles). All do excellent food – both The Red Lion and The Harrow have Michelin pub awards for food and are well known Wiltshire pubs which people come a long way to visit. MARLBOROUGH (7 miles) market town is well worth a visit and has a wealth of shops and restaurants in its High Street. Do make time to take tea in The Polly Tea Rooms. Market days are Wednesdays and Saturdays. Marlborough was an important staging post on the road from London to Bath and attractions include The Merchant’s House. AVEBURY (12 miles). 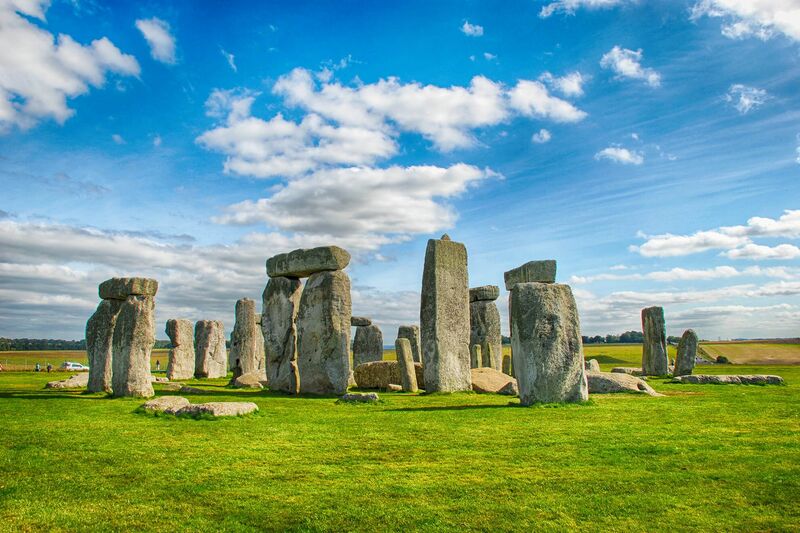 Attractions include Avebury Stone Circle, the world’s largest prehistoric stone circle (National Trust), the Alexander Keiller Museum (National Trust), Avebury Manor and Garden (National Trust) and Windmill Hill (English Heritage). DEVIZES (15 miles), a thriving market town and home to Wadworth Brewery with a Visitor Centre and Brewery tours. It is also home to the famous flight of 29 locks at Caen Hill and the Wiltshire Museum. ANDOVER (17.5 miles). Attractions include the Hawk Conservancy Trust and Andover Museum and The Museum of the Iron Age. LACOCK (23 miles) is a National Trust village. Visit Lacock Abbey & Fox Talbot Museum. Lacock has starred in many film classics. SALISBURY (23 miles). Attractions include Salisbury Cathedral, The Close, The Salisbury Museum, Mompesson House (National Trust), (TV’s ‘Sense & Sensibility’). Two miles north of Salisbury, discover Old Sarum (English Heritage) Iron Age hill fort. WILTON (25.5 miles). Attractions include Wilton Italianate Church and Wilton House, parklands, woodland and water gardens (used in the film ‘Sense and Sensibility’). BATH (36 miles). Attractions include the Roman Baths, the well-preserved architecture of The Royal Crescent and the American Museum at nearby Claverton Manor. Bath is also a shopper’s paradise, whether you’re into designer fashion, high street brands or antiques, including the modern SouthGate quarter, Milsom Place and the atmospheric The Corridor. Bath has a limitless array of eating options, from the very formal to the casual, including some excellent gastro pubs and bars, as well as quaint tea shops and speciality stores – don’t miss a trip to The Real Italian Ice Cream Company for the best ice cream this side of Rome, or sample an authentic Bath bun at Sally Lunn’s world-famous tea shop. The White Horses of Wiltshire – There are two in Pewsey Vale, the Pewsey White Horse in Pewsey (1937) set a mile south of the village and Alton Barnes White Horse, (1812) on Milk Hill, a mile north of Alton Barnes village. Crofton Beam Engines, Crofton Pumping Station, Crofton (6 miles). Wilton Windmill, Wilton (7 miles) is the only working windmill in Wessex and still produces wholemeal, stone-ground flour. There are special events throughout the year. Ludgershall Castle and Cross (English Heritage), Ludgershall (10.5 miles). Long Barrow Chambered Tomb, West Kennet (11.5 miles). Silbury Hill Burial Mound (English Heritage), Beckhampton (12 miles). Avebury Stone Circle, Avebury (National Trust/English Heritage) (12.5 miles). Stonehenge (English Heritage), Amesbury (18.5 miles). World Heritage Site. Museum of Army Flying, Middle Wallop (20 miles). Old Sarum (English Heritage), Castle Road, Salisbury (21.5 miles). Danebury Iron Age Hill Fort, near Stockbridge (22 miles). Whitchurch Silk Mill, Whitchurch (22.5 miles). Old Wardour Castle (English Heritage), near Tisbury (36 miles). Avebury Manor and Garden (National Trust), Avebury (12.5 miles). Bowood House & Gardens, near Calne (21.5 miles). Lacock Abbey, Fox Talbot Museum and Village (National Trust), Lacock (23 miles). Longstock Park Water Garden (John Lewis Partnership), Longstock, Stockbridge (22.2 miles). Lydiard House & Park, Lydiard Tregoze, Swindon (23.5 miles). Ashdown House (National Trust), Lambourn, Newbury (24 miles). Mompesson House (National Trust), (TV’s ‘Sense & Sensibility’), Salisbury (23 miles). The Courts Garden (National Trust), near Bradford-on-Avon (24.5 miles). Wilton House, parklands, woodland and water gardens (used in film ‘Sense and Sensibility’), Wilton, Salisbury (25 miles). Houghton Lodge & Gardens, North Houghton, Stockbridge (25.5 miles). Highclere Castle, south of Newbury (27.5 miles). TV’s ‘Downton Abbey’, the castle only opens for 90 days a year and operates a very popular tour. Mottisfont Abbey (National Trust), near Romsey (28 miles). Corsham Court and Gardens, Corsham (29 miles). Longleat House, gardens and Safari Park, Longleat (32 miles). Sir Harold Hillier Gardens, Ampfield, Romsey (32.5 miles). Stourhead House & Garden, Stourton (38.5 miles). 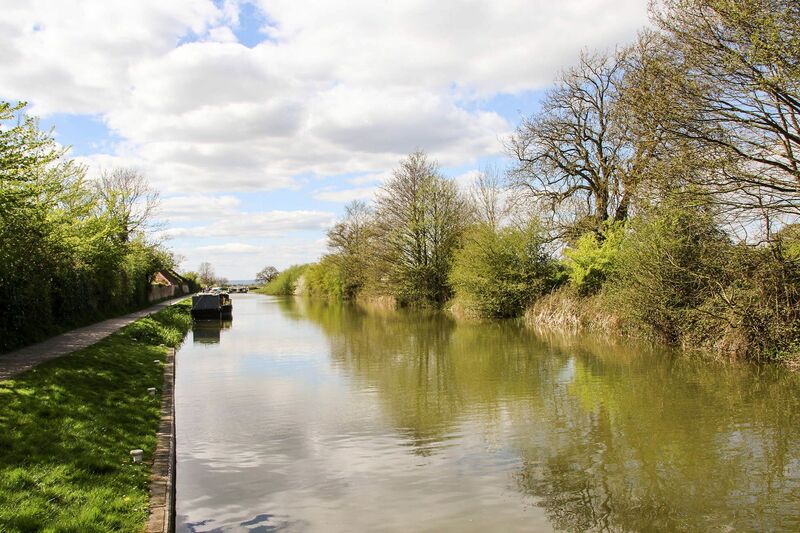 The Kennet and Avon Canal provides peaceful walks along the tow path, and a canal boat trip from the nearby market town of Devizes or from Pewsey Wharf is not to be missed. The Pewsey Avon Trail starts in Pewsey and follows the course from Pewsey to Salisbury following the River Avon. Wootton Rivers (2.5 miles) is a small village with extensive walks (Wootton Rivers is on the Mid Wilts Way) and cycling (National Cycle Route 4 passes through the village). 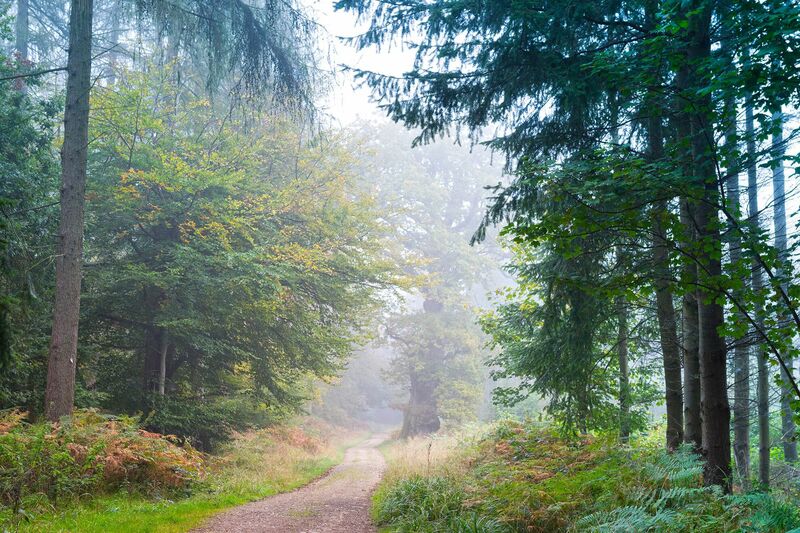 Savernake Forest (7.5 miles), with its abundance of wildlife and nature trails, is good for walks and picnics. Wiltshire’s National Nature Reserves include Pewsey Downs and Fyfield Down. Calstone and Cherhill Downs(National Trust), South of Cherhill village, near Calne (16 miles) is well known for its White Horse and views of the Lansdowne Monument as well as Oldbury Castle Iron Age hill fort. Barbury Castle Country Park (13.5 miles) is a Scheduled Ancient Monument, Local Nature Reserve, County Wildlife Site, Country Park and part of the North Wessex Downs Area of Outstanding Natural Beauty (AONB). A suggested walk is Barbury Castle and the Ridgeway. 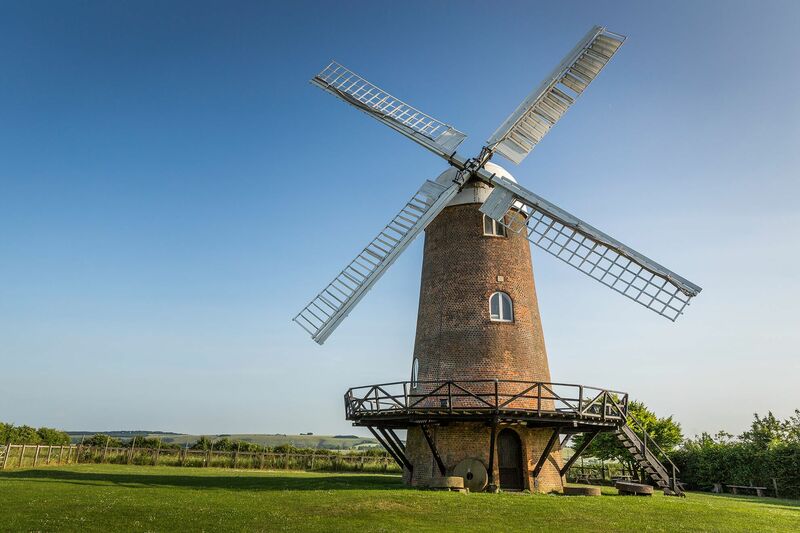 There is another great walk which takes in Wilton Windmill, Crofton Pumping Station and part of the towpath of the Kennet and Avon Canal: Great Bedwyn and Wilton Windmill Walk. Coate Water Country Park, Marlborough Rd, Swindon (19 miles). A large 54 acre reservoir, wildlife reserve with bird hides and has plenty of other activities for the family to enjoy. There is a pitch and putt, splash park, play area, mini golf, miniature railway, cafe and more. Cotswold Water Park (31 miles). Over forty square miles for sailing, windsurfing, canoeing and skiing and many miles of footpaths, cycleways and bridle paths. Pewsey Vale Riding Centre, Stanton Saint Bernard (8 miles). Manningford Trout Fishery, Manningford Bohune, Pewsey (5 miles). Avon Springs Fishing Lakes, Recreation Road, Salisbury, Durrington (14 miles). Tidworth Golf Club, Bulford Road, Tidworth (12 miles). Marlborough Golf Club, Marlborough (9.5 miles). Ogbourne Downs Golf Club, Ogbourne Saint George, Marlborough (13 miles). Thruxton Kart Centre, Thruxton Circuit, Andover (17.8 miles). Barbury Shooting School, near Chiseldon (20.6 miles). Aerosaurus Balloons – Hot air balloon rides from various sites in South Wiltshire including Salisbury and the Larmer Tree Gardens. Atwell-Wilson Motor Museum, Calne (16 miles). Motor museum with vintage, post-vintage and classic cars, including American models. Cholderton Charlie’s Farm, Cholderton, Salisbury (16.5 miles). Rare Breeds Farm. Studley Grange Craft Village and Butterfly World, Wroughton, Studley (19.5 miles). Boscombe Down Aviation Collection, Hangar 1, Old Sarum Airfield, Old Sarum, Salisbury (21 miles) tells the history of flight and flight-testing. Based across two WWI Hangars, it is steeped in history with a fascinating collection of aircraft, cockpits, weapons and models. There are guides to answer questions and show you round. Salisbury Escape Rooms, Salisbury (23 miles). The only Escape Room created, built and run by UK Detectives. It challenges players to find their way out of a series of locked rooms by solving clues and puzzles. Devizes to Westminster International Canoe Race, Devizes (14 miles). Wilton Windmill, Wilton (7 miles). Open for guided tours & refreshments on Sundays at 2pm. Wilton Windmill, Wilton (7 miles). Open for guided tours & refreshments on Sundays (and usually bank holiday Mondays) at 2pm. Crofton Pumping Station Steaming Weekends, Crofton (6.1 miles). Please check for dates. Half term events at Lacock Abbey, Fox Talbot Museum & Village (National Trust), Lacock (23 miles). Half term activities, Avebury (National Trust) (12.5 miles) – children’s crafts and activities. 11am – 4pm. Half term activities at Old Sarum (English Heritage), Castle Road, Salisbury (21.5 miles). Open air theatre at Old Sarum (English Heritage), Castle Road, Salisbury (21.5 miles). Toby Buckland’s Garden Festival, Bowood House & Gardens, near Calne (21.5 miles). Wiltshire Steam & Vintage Rally, Rainscombe Park, Oare (5 miles). The Marlborough Jazz Festival, Marlborough (6.8 miles). Summer events at Old Sarum (English Heritage), Castle Road, Salisbury (21.5 miles). Newbury Waterways Festival, Victoria Park, Newbury (21.7 miles). Summer activities at Lacock Abbey, Fox Talbot Museum & Village (National Trust), Lacock (23 miles). 11am – 4pm. Summer activities at Avebury (National Trust) (12.5 miles) – children’s crafts, trails, garden games, activities. Crofton Pumping Station Steaming Weekend, Crofton (6.1 miles). Please check for dates. Devizes International Street Festival, Devizes (14.2 miles). Devizes Carnival on the Canal, Devizes (14.2 miles). Pewsey Carnival & Feast, Pewsey (2 miles). Crofton Pumping Station Steaming Weekend, Crofton (6 miles). Please check for dates. Marlborough Literature Festival, Marlborough (6.8 miles). Marlborough Big & Little Mop Fairs, Marlborough (6.8 miles). Salisbury Carnival, Salisbury (23 miles). Halloween Half Term at Old Sarum (English Heritage), Castle Road, Salisbury (21.5 miles).